Fabulous choppy flicks, razored layers and a cutting edge shaggy style, this wig has everything the modern wig wearer needs! Loads of body and volume with effortless tousled layered style and plenty of attitude - YES!! The soft silky premium synthetic fibers are so lovely to touch, and the wig keeps it's fabulous style even in hot weather. So easy to wear and look stunning whilst doing so! !The lace front on this wig is exceptional! The strands of hair are hand tied into the hairline for a superbly natural looking hairline, and then the top of the wig has monofilament top, meaning you can part it anywhere you like on the top and you're going to have a superior and natural look, along with a much lighter wear! 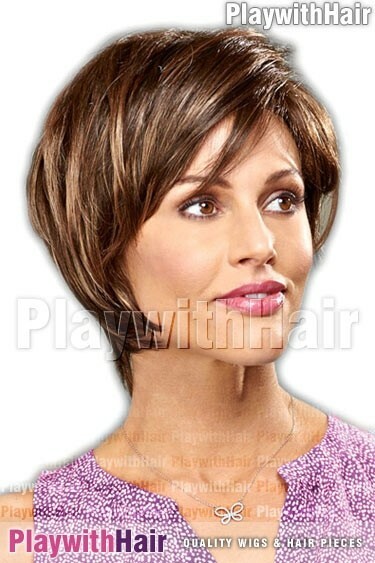 This expertly created designer wig also has a soft and easy to wear adjustable Average Size cap, for a snug all-day wear that feels as great as it looks! 12ah Golden Brown Mix This piece is offered in color 12ah, a beautiful warm golden brown with subtle soft highlights. 12gr Golden Brown Regrowth The color of this piece is 12gr, a delicious golden brown with dark regrowth roots! 12h Golden Brown Mix This piece is offered in color 12h, a beautiful warm brown with subtle soft highlights. 131gr Regrowth!! Copper Red This piece is offered in color 131gr, a rich red with darker regrowth style roots. 14h Hilited Blondes This piece is offered in 14h, a specially blended and highlighted natural blonde with streaks and highlights! 16h Natural Blonde The color of this piece is 16h, a really stunning natural blonde mix. 1bh Soft Black Brown This piece is offered in color 1BH, a rich softest black with tiny pinstreaks of super dark brown. So natural!! 24h18 Warm Brown & Lighter Tips The color of this piece is 24h18, a beautiful warm tone with lighter tips. 2500h Multitoned Blonde This piece is offered in color 2500h, a rich blend of blondes that give a totally natural honey look! 26gr Blonde REGROWTH! This piece is offered in 26gr, a totally stunning new blonde mix with darker roots for a natural regrowth look to it! 26h Hilited Blonde This piece is offered in color 26H, its a superb mix of natural warm honey golden blonde with frosted highlights and streaks placed gently throughout. 27/26h Strawberry & Gold Blonde This piece is an eyecatching gold blonde with warm strawberry highlights. 27ah Rich Blonde Mix The color of this piece is 27ah, a rich strawberry blonde with multifaceted highlights! 29h Fiery Red Mix This piece is offered in color 29h, a rich vibrant fiery red, it's absolutely stunning and so natural!! 31h Dark Auburn Brown Blend This piece is a great blend of dark auburn, medium brown and warm strawberry highlights. 33h Hilited Dark Auburn This piece is offered in color 33h, a beautiful multitoned mix in Dark Auburn! 37 Natural Gray Mix This piece is offered in color 37, an expertly blended light brown with gray blended through and a darker layer underneath. 38 Brown Grey Blend Colour 38 is a stunning medium brown blended with 30% grey. Zoey44 Dark Brown 65% Gray Grey The color of this piece is a stunning dark gray tone! 4gr Brown REGROWTH This piece is offered in color 4gr, a super delicious dark brown with very dark regrowth! 4h Darkest Brown This piece is offered in color 4h, a super delicious multitoned dark brown! 51h Grey With Black And Brown 51H is a lovely grey blended with tiny pinstreaks of darkest brown and black. 56 Silver Gray Grey This piece is offered in color 56, an expertly blended silvery grey! 5h Dark Brown Swirl This piece is a glorious dark brown with strawberry highlights. 614gr Blonde & Dark Roots The color of this piece is 614gr, a lovely palest blonde with stunning dark roots! 614h Platinum Mix This piece is offered in 614h, a totally awesome highlighted mix of natural platinum tones! 6h Hilited Dark Brown The color of this piece is 6h, a soft naturally highlighted dark brown. 7h Choc Caramel Brown This piece is a fantastic chocolate brown with caramel highlights. 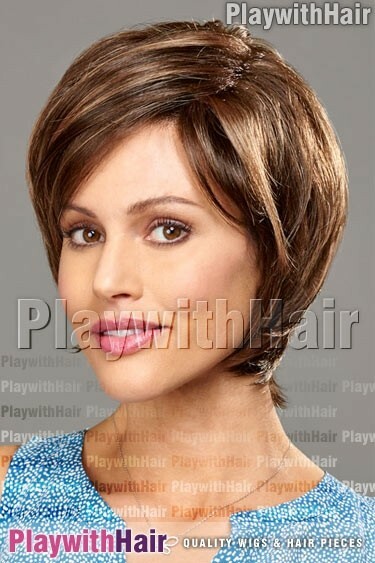 8/14h Brown Blonde Mix The color of this piece is 8/14h, a stunning dark brown with soft blonde highlights! 8/27/33h Unique Brown Blonde Mix This piece is a fabulous mix of medium brown, gold blonde, strawberry and auburn. 88h Natural Blonde Tips This piece is offered in color 88h, a delicious natural soft blonde with subtle highlights and blended through to lighter tips! 8h Warm Brown Highlights The color of this piece is 8h, a rich warm naturally highlighted brown.